Looking for somewhere to see Chestnuts Roasting over an open fire? These U.S. towns offer that, and so much more. These are some of the most perfect destinations for those of us looking to make Christmas Memories that will last a lifetime. 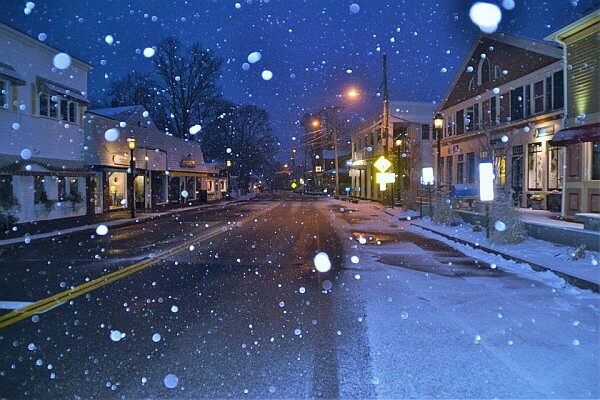 This town is the essence of every snow-capped mountain, postcard perfect, “white Christmas” dream you have ever had. Vail, Colorado transforms into a winter wonderland every year. 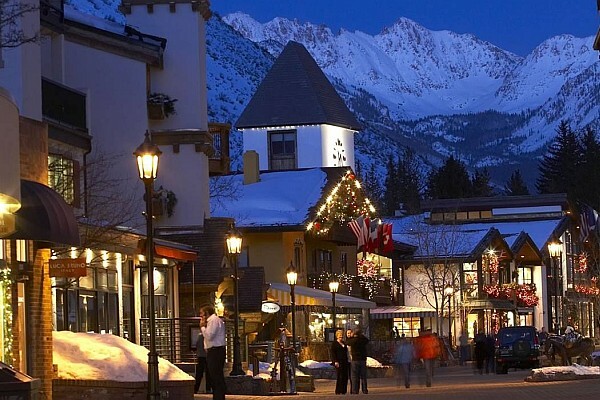 You will just love the powdery ski slopes and twinkling Christmas lights. Vail even has horse-drawn sleigh rides! It doesn’t get more Christmas-y than that! With all the mountain side views you will not have to work very hard to have a Christmas experience to remember, with the perfect pictures to back it up. Christmas begins shortly after Thanksgiving with the Grand Illumination, their traditional firework display, where they light the cressets. 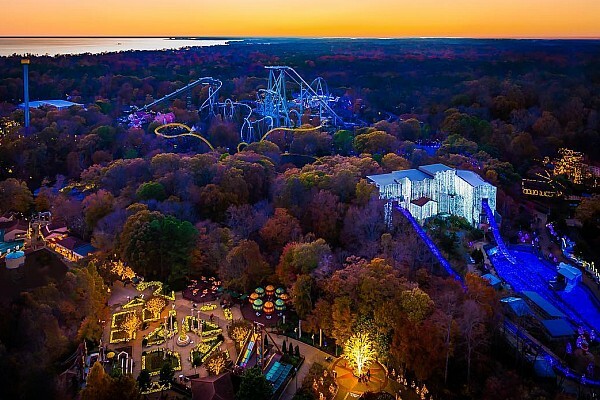 Williamsburg, Virginia’s Busch Gardens amusement park decorated with Christmas lights. Williamsburg continues this traditional cresset flame throughout the holiday. With the biggest Christmas light display in the US at the nearby Busch Gardens, plenty of Christmas shopping, and the stunning Yorktown Christmas Tree, it is easy to see why this is such a popular Christmas Destination. The Christmas Lighting Festival starts at the beginning of December and continues for several weeks past Christmas. 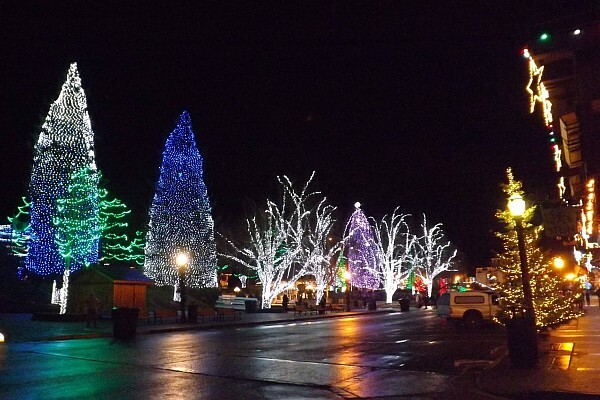 Leavenworth, Washington’s Annual Christmas Lighting Festival. Leavenworth is a little Bavarian village that essentially turns into The Christmas Village, when the festival kicks off and if that isn’t enough, there are also the scenic mountain views and boutique shopping to help keep your holiday spirit soaring. Christmas doesn’t start earlier anywhere than in Branson, MO! Silver Dollar City theme and amusement park in Branson, MO is illuminated with 6.5 million lights. 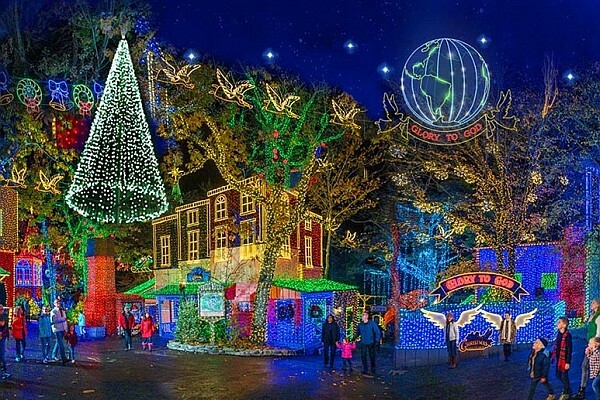 Beginning the first of November, Branson, Missouri offers tons of Christmas themed shows, multiple light displays (including Silver Dollar City’s 6.5 million lights), and some of the best shopping in the area. From the Gingerbread Village at Chateau on the Lake, to Ice Skating at Big Cedar Lodge, Branson is a truly enchanting holiday getaway for the whole family. They even have a polar-express themed train ride! Where do I start on how much beauty and meaning this town brings to Christmas? “Christmas City USA” can be found at Bethlehem, Pennsylvania! Bethlehem is also known as Christmas City USA. With the symbolic Moravian Stars, tons of decorated Christmas Trees (800 to be exact! ), and unique Christmas Markets, this historic town makes Christmas memorable in the most perfect way! If you don’t mind fighting the swelling number of tourists that visit the big apple over the holiday season, it really is a sight to behold! 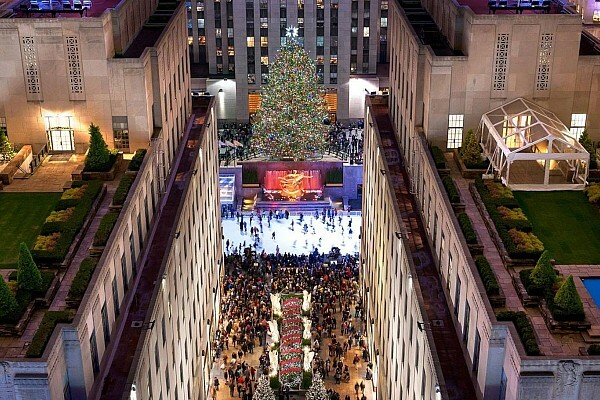 New York City’s Rockefeller Center is a once-in-a-lifetime experience you won’t want to miss at Christmas! 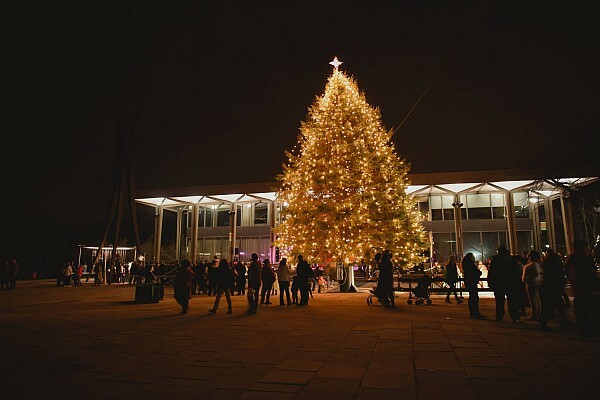 The enormous Rockefeller Christmas Tree, Nutcracker Ballet, and the holiday window displays on 5th Avenue are just a few of the impressive Christmas traditions that are standard for this city. This town is known as Christmas Town USA for good reason, despite only having 700 residents they celebrate Christmas in a big way! 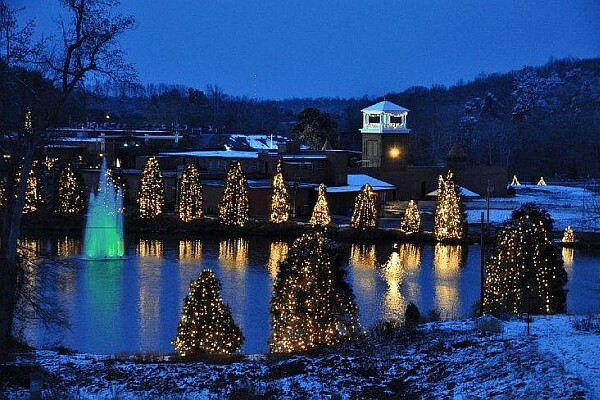 McAdenville, North Carolina is home to some of the country’s most beautiful Christmas lights! With extravagant residential Christmas displays, and a whole town committed to being a city-wide light display, this is an extraordinary town to see at Christmas. “Christmas by the Sea,” is the festive celebrate that starts the second week of December and runs through Christmas in this seaside town! The “Beautiful Place by the Sea,” Oginquit, Maine is home to an incredible display of Christmas spirit! They have a huge Christmas Parade, nightly Tree Lighting Ceremony, bonfires, hayrides and the arrival of Santa on a Lobster boat as a few of the many holiday attractions. Let’s not forget this iconic Christmas town, that receives all the letters to Santa Claus every year! 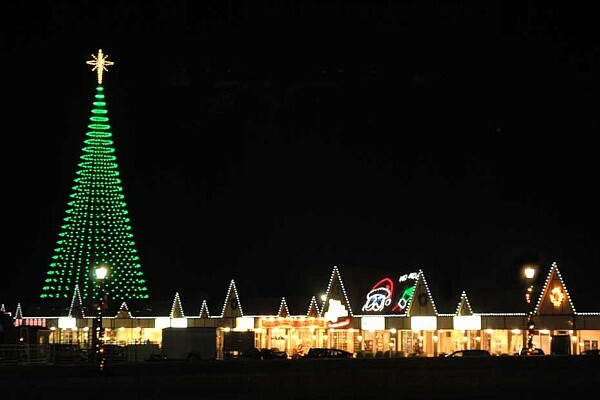 Santa Claus, Indiana celebrates the holiday season year-round! They are home to Santa’s Candy Castle (where you can roast those Chestnuts), Santa’s Stables, and many other holiday themed attractions. Visiting this town is like living in a Hallmark Movie!